In our midsts we have an artist of international repute and since relocating from Melbourne several years ago, proud to call a local. Tom is reknown for his vibrant, quirky and eye catching woven wire sculptures and his work, regularly showcased as garden sculpture can be recognised from afar. 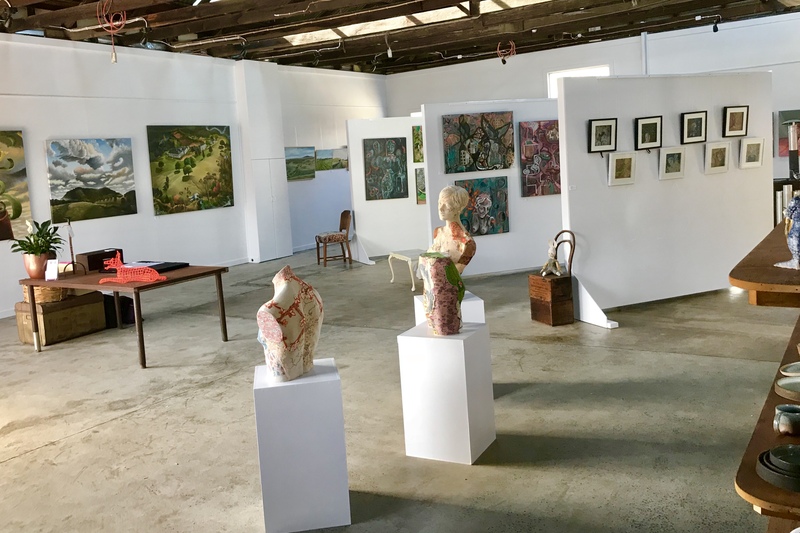 He sells his work regionally and nationally and select pieces are often on display in strategic positions around the village of Clunes Victoria. Tom teaches his craft at the Clunes Neighborhood House and is involved in local community arts initiatives. He is predominantly inspired to work with animal forms and has a unique way of creating expression into each piece. 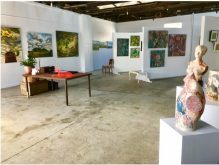 We are fortunate at the Red Door Gallery to have an ongoing exhibition with a selection of 15 pieces currently on display. Pieces vary in size, colour and price. Come in, see for yourself and if you have a specific idea for something in your home or garden Tom accepts commissioned work by arrangement. Reflecting the range of Tom Ripon’s wire sculpture art works that we have exhibited in the past year, prices are from $800 – $7000. Please let us know if we are able to assist in any way.